Classic Analog LPs - items 1075 to 1100 Shop MyMusicFix!! 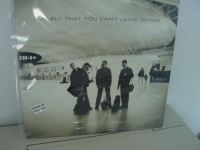 "U2, All That You Can't Leave Behind - CURRENTL SOLD OUT "
Analog Virgin Vinyl. Nearly ten years after beginning U2 Mach II with their brilliant seventh album Achtung Baby, U2 eases into their third phase with 2000's All That You Can't Leave Behind. 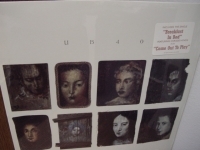 The title signifies more than it seems, since the group sifts through their past, working with Daniel Lanois and Brian Eno, all in an effort to construct a classicist U2 album. 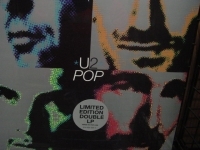 Tracks Include: "Beautiful Day" "Stuck In A Moment You Can't Get Out Of" "Elevation" "Walk On" "Kite" "In A Little While" "Wild Honey" "Peace On Earth" "When I Look At The World" "New York" "Grace"
"U2, Boy - Includes 16 Page Booklet"
U2 - BOY - Mastered by Arnie Acosta and cut by Bernie Grundman at Bernie Grundman Mastering. 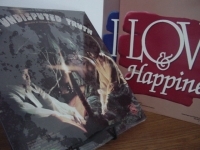 Includes 12" x 12" deluxe 16-page booklet. Boy announced the arrival of four young men from Dublin who would conquer the world in short order. Bono and company were barely out of their teens when they recorded their first album, and their youthful vigor lights up every track here. Full of ambition, driven by a politicized (though not yet explicitly so) sense of purpose, the songs give listeners an idea of what it's like to come of age in a strife-torn country and count on rock and roll as your means of transcendence. Boy was originally released on October 20, 1980. 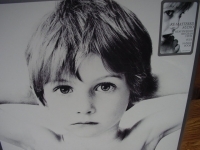 The boy on the cover is Peter Rowan (brother of Bono's friend, Guggi, and now a renowned Irish photographer). He also appears on the covers of Three, War, The Best of 1980-1990, and Early Demos. The photographer, Hugo McGuiness, and the sleeve designer, Steve Averill (a friend of bassist Adam Clayton), went on to work on several more U2 album covers. 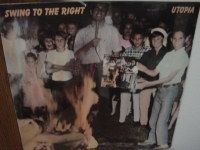 The image was changed to a distorted picture of the band for the American and Canadian release, due to the record company's fears that the band would be accused of pedophilia. Sandy Porter is credited as the photographer for the American cover. However, the photo of Rowan appeared on the inner sleeve of the album in the US and Canada. 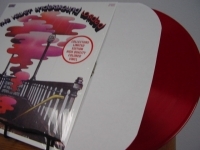 In 2008, the artwork of the remastered editions was standardised worldwide to that of the 1980 UK release. In 2008, a remastered edition of the album was released, featuring remastered tracks, along with B-sides and rarities. Three different formats of the remaster were made available. Singles "A Day Without Me" and "I Will Follow" were released as singles. "I Will Follow" peaked at #20 on the Mainstream Rock charts, becoming a hit on college radio and established a buzz surrounding the group's debut. The album was preceded by Three, a three-song EP with different recordings of "Out of Control" and "Stories for Boys", as well as a song called "Boy/Girl". 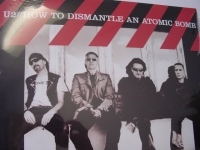 "U2, How To Dismantle An Atomic Bomb - CURRENTLY SOLD OUT"
"U2, Pop - 2 LP Set with Gatefold Cover - Original 1997 Release"
Classic Analog LP Pressing w/ small cut out in cover. Tracks Include: "Dance With The Devil" "Come Out To Play" "Breakfast In Bed" "You're Always Pulling Me Down" "I Would Do It For You" "Cos It Isn't True" "Where Did I Go Wrong" "Contaminated Minds" "Matter Of Time" "Music So Nice" "Dance With The Devil (Reprise)"
"Undisputed Truth, Face To Face With The Truth"
Classic Analog LP Pressing "Out of Print"
"Utopia, Swing To The Right"
Euro Sealed Classic Analog LP Pressing. Tracks Include : "Stranded" "Celtic New Year" "Keep Mediocrity At Bay" "Evening Train" "This Love Of Mine" "Just Like Greta" "Gypsy In My Soul" "Lonely And Blue" "The Lion This Time" "Magic Time" "They Sold Me Out" "Carry On Regardless." Classic Analog European LP Pressing. Voted the #32 rock & roll album of all time! 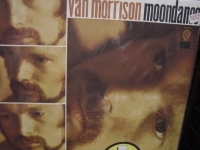 VAN MORRISON - MOON DANCE is a Limited Edition Vinyl pressing by WEAA - Factory Sealed - - Analogue cutting from Analogue Tapes - Original Packaging - Out Of Print and simply one of the hardest pressing to still find. These FOREIGN pressings are sent with the vinyl outside of the jackets when being shipped to the U.S. to protect the covers from damage. Once inside the our wherehouse we then protectively seal the title in a loose re-sealable plastic cover to ensure the quality of the product. This title is brand new & never played condition. Review by Rolling Stones - "MOONDANCE is an album of musical invention and lyrical confidence." 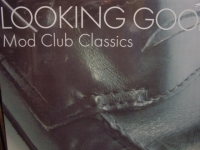 Review by New Musical Express - "Ranked #17 in NME's list of The Greatest Albums of The '70s." - Review by Vibe - "Included in Vibe's 100 Essential Albums of the 20th Century." Van Morrison (vocals, acoustic guitar) - John Plantania (guitar) - Jack Shrorer (saxophone) - Jeff Labes (keyboards) - Garry Malabar - drums. Where on previous recordings Van Morrison had implied Soul and R & B roots, on MOONDANCE he set them free. He had rarely sounded so relaxed, whether on the bubbling joy of "And It Stoned Me", the finger-popping ease of the title track or the celebratory bliss of "Caravan." 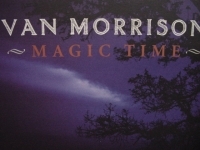 Morrison reveled in the music's tight arrangements, clearly enjoying the punchy horn section "Glad Tidings" and empathizing with a quieter, acoustic settings "Crazy Love". MOONDANCE shows an artist enraptured by a new-found musical freedom, from this moment on everything he sang had soul. 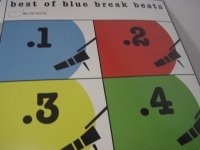 "Various Artist, Best Of Blue Break Beats (2 LPs, famous Blue Note label)"
Classic Analog LP Pressing. Anytime you see the "Best of" and "Blue Note" together you know you have some seriously good jazz. Artisits include: Lonnie Smith, Donald Byrd, Howard Roberts, Bob Dorough, Andrew Hill, Buddy Rich, Shirley Bassey and more! 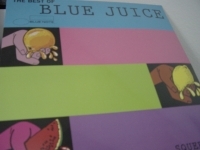 "Various Artist, Best Of Blue Juice - U.K. Pressing, Double LP - Blue Note Label"
Classic Analog LP Pressing w/ artist such as Bobby Womack, Bobby Bryant,Patti Drew, Benny Gordon, Richard "Groove" Holmes, Bobby Gentry, Lou Rawls and more BLUE NOTE - BEST OF BLUE JUICE Jazz Double LP pressed in the U.K. and some of the finest Collections of Rare Blue Note Jazz Masterpieces ever released on Analog Vinyl. They are real vinyl treasures that any true jazz lover will not want to miss out owning. These Blue Note Collections are all Very Limited Editions and once gone will be gone forever from the Collectors Market. BLUE JUICE was conceived as a tribute to a certain kind of jazz compilation that was felt did not exist any more. It was the sort of thing that Gilles Peterson had devised with his legendary "Jazz Juice" series in the 1980s on Street Sounds where jazz, jazz funk, latin, old soul instrumentals all came together for the greater pleasure. In fact as anyone who bought them at the time would tell you a perfect primer to get you into the world of jazz related musics. Tracks on RECORD ONE, Side 1: Hard to Handle/Patti Drew, I Want To Testify/Bobby Bryant, Sookie Sookie/Tina Britt, Tighten Up/Benny Gordon, Listen Here/Richard Groove Holmes, Get Out Of My Life Woman/George Semper. Side 2: Soul Mission/Brian Bennett, Thousand Finger Man/Candido, Feelin' Alright/Trinidad Oil Company, Fever/Patty Drew, Mississippi Delta/Bobbie Gentry. RECORD TWO, Side 1: Never Come Closer/Doris, California Dreaming/Bobby Womack, Call Me /Nancy Wilson, McCanna/Les McCann, Samba for Maria. Side 2: California Soul/Gerald Wilson, For What It's Worth/Lou Rawls, Hundreds & Thousands of Guys, Why Am I Treated So Bad/The Three Sounds and Cristo Redentor/Ferrante & Teicher. "Various Artist, Blue Funk (2 LPs, famous Blue Note label)"
Classic Analog LP Pressing. Blue Funk delivers! If the cover doesn't give the vibe of what is to come, Grant Green, Big John Patton, Blue Mitchell, Jack McDuff, Lou Donaldson and others will show you what "Blue Funk" is all about. 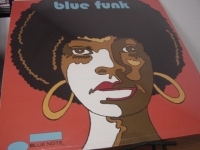 BLUE NOTE - BLUE FUNK Double LP pressed in the U.K. and some of the finest Collections of Rare Blue Note Jazz Masterpieces ever released on Analog Vinyl. They are real vinyl treasures that any true jazz lover will not want to miss out owning. These Blue Note Collections are all Very Limited Editions and once gone will be gone forever from the Collectors Market. RECORD ONE Side 1: Who Dun It? By Blue Mitchell, Say It Loud by Lou Donaldson, Ease Back by Big John Patton, Ease back by Grant Green; SIDE 2 is Hunk o' Funk by Jack McDuff, Tic Tac Toe by Candido, Down Home funk by Richard Groove Holmes, Cantaloupe Woman by Grant Green. RECORD TWO Side 1: I Don't Want Nobody To Give Me Nothing by Grant Green, Don't Knock My Love by Ronnie Foster, If There's A Hell Below by Lou Donaldson SIDE 2: Bamboo by Reuben Wilson, Family Affair by Bobby Hutcferson and Layin In the Cut by Lonnie Smith. "Various Artist, Blue N Groovy (2 LPs, famous Blue Note label)"
Classic Analog LP Pressing. 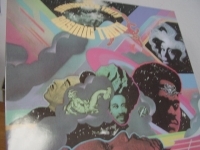 This LP does what it states, connects you with the "Good Vibes" of Duke Pearson, Herbie Hancock, Wayne Shorter, Horace Silver, Jack Wilson, Tina Brooks, Art Blakey, Donald Byrd and more! 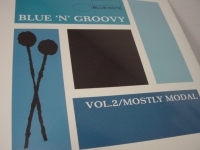 "Various Artist, Blue N Groovy 2 - U.K. Pressing, Double LP"
Classic Analog LP Pressing with the groovin sounds of Jackie McLean, Art Blakey, Blue Mitchell, Lee Morgan, Hank Mobley, Bobby Hutcherson and more! 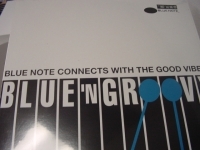 BLUE NOTE CONNNECTS WITH THE GOOD VIBES - BLUE 'N GROOVY Double LP pressed in the U.K. and some of the finest Collections of Rare Blue Note Jazz Masterpieces ever released on Analog Vinyl (over 70 minutes for pure jazz pleasure). They are real vinyl treasures that any true jazz lover will not want to miss out owning. These Blue Note Collections are all Very Limited Editions and once gone will be gone forever from the Collectors Market. These Collections are cover to cover Masterpieces from various artists that will blow you away RECORD ONE, Side 1: Chlli Pepers/Duke Pearons, On Children/Jack Wilson, High Heel Sneakers/Blue Mitchell, Senor Blues/Horace Silver Side 2: Meatwave/Stanley Turrentine, Dem tambourines/Don Wilkerson, The Sidewinder/Lee Morgan, Canteloupe Island/Herbie Hancock RECORD TWO Side 1: Ping Pong/Art Blakey, True Blue/Tina Brooks, Jeannine/Donald Byrd, Side 2: My Favourite Things/Grant Green, 8/4 Beat/Bobby Hutcherson and Thom Thumb/Wayne Shorter. 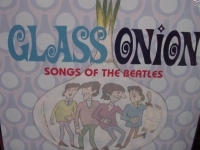 "Various Artist, Glass Onion (2 LPs, songs of the Beatles)"
Classic Analog LP Pressing w/ the Meters, Ella Fitzgerald, Aretha Franklin, Little Richard, Black Heat and more doing songs from the Beatles catalog. 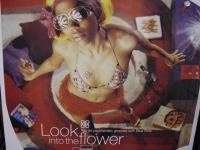 "Various Artist, Look Into The Flower (3 LPs, famous Blue Note label)"
Classic Analog LP Pressing. "Trip on phychedelic grooves with Blue Note!" 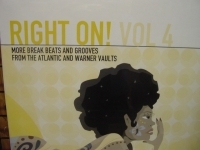 Includes artists Donald Byrd, Martin Denny, Gene Harrison, Bobbi Humphrey and more. 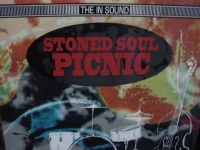 "Various Artist, Looking Good - Mod Club Classics (2 LPs)"
"Various Artist, Stoned Soul Picnic"
Classic Analog European LP Pressing. Classic Analog LP Pressing w/ "illicit grooves from the Atlantic and Warner vaults" including Cold Blood, Roy Ayers, Gary Burton, Les McCann, Don Cherry and more. Classic Analog LP Pressing w/ "illicit grooves from the Atlantic and Warner vaults" including Cold Blood, Roy Ayers, Gary Burton, Les McCann, Don Cherry and more. 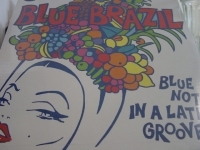 "Various Artists, Blue Brazil (2 LPs, famous Blue Note label) - CURRENTLY SOLD OUT"
"Various Artists, Right On Volume 4"
Classic Analog LP Pressing. Tracks Include: Hammer- "Tuane", John Baldry- "Hambone", Cornell Dupree- "Teasin'", Eddie Harris- "Live Right Now", King Curtis- "Ridin' Thumb", The Freedom Sounds- "The Bite", Barbara & Ernie- "Searching The Circle", Herbie Mann- "Respect Yourself" and many more! Classic Analog 12" Picture Disc LP. 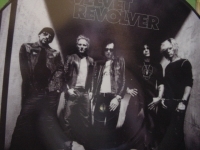 The super-group featuring Scott Weiland and members of Guns N Roses, Slash, Duff, and Izzy, in their debut single. Tracks Include: "Set Me Free" & "Slither"
"Velvet Underground, Loaded (Red Vinyl)"
Classic Analog LP Pressing "Rare Limited Edition Red Vinyl"